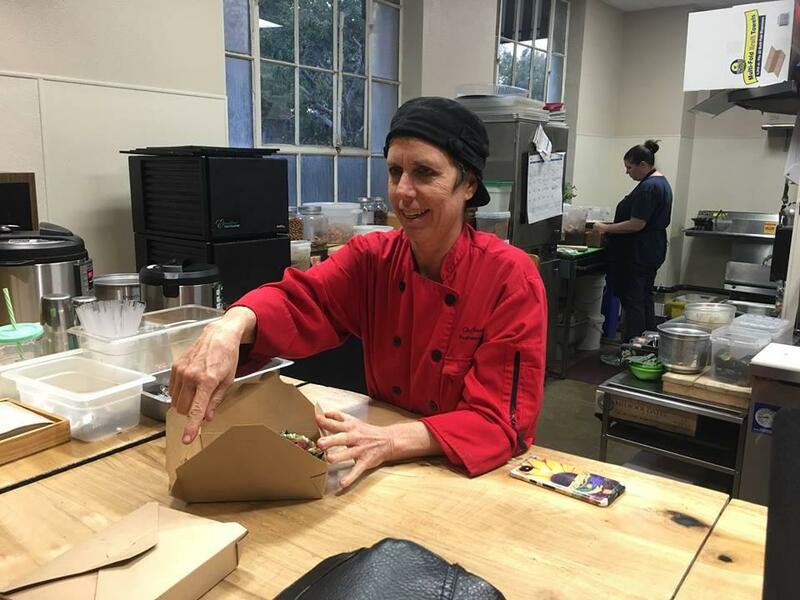 Naomi Hendrix, the owner and executive chef at Raw Fresno, prepares a vegan soup. Naomi Hendrix prepares a kale caesar salad in her downtown Fresno restaurant. She says it’s one of the customer favorites. She throws some beans and avocado on top of the bed of kale, and adds some hummus and crackers on the side. 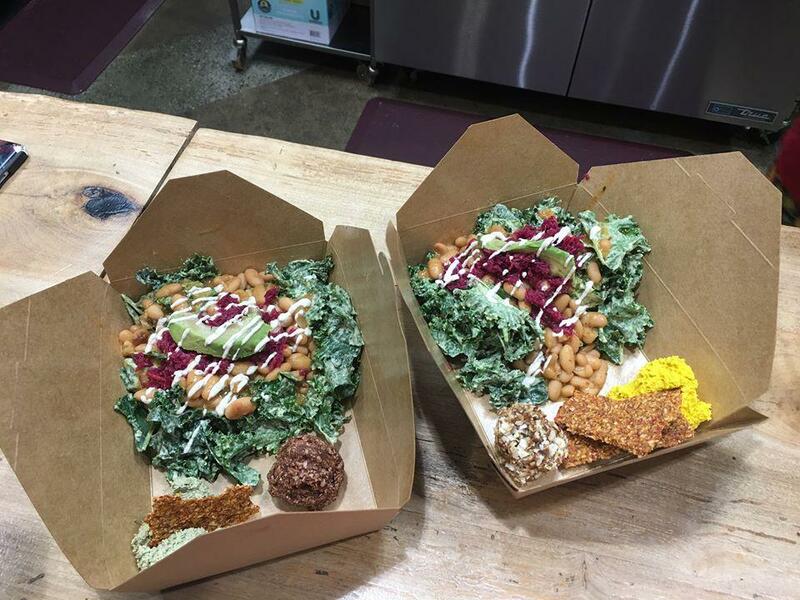 A kale caesar salad combo at Raw Fresno. Hendrix is the owner and executive chef at Raw Fresno. The cuisine is all plant-based -- meaning no processed or animal products are used. This Thursday will be the second time Hendrix gets to serve Thanksgiving meals at her restaurant. To many Americans, Thanksgiving is a day that revolves around eating turkey. But, November is also a month that celebrates those who don’t eat turkey, and any other animal for the matter. It’s World Vegan Month. Being vegan means someone who doesn't use or eat animal products. For vegans, or people looking for something other than turkey, Raw Fresno came in handy. Hendrix says it was a goal of hers to be open on Thanksgiving, and for the first time last year, she was. “[Customers] would stop and either pick up food to take with them or they would just sit here and eat their whole meal, and then maybe take a dessert pie or something like that to share with their family before they went to their Thanksgiving meal,” Hendrix says. This year, she says she’ll have sweet potatoes, green beans, almond stuffing, pumpkin pie, and a no-turkey loaf. She says her loaf is made with pumpkin seeds, mushrooms, sunflower seeds, carrots, celery, and pumpkin seasonal spices. Naomi Hendrix, the owner and executive chef at Raw Fresno. Scott Strong celebrated his third vegan Thanksgiving this past weekend because it was the only time his whole family was free. The meal included green bean casserole, pumpkin pie, sweet potato casserole, and stuffing burgers -- a patty that’s inspired by stuffing. Even though turkey wasn’t on the table, Strong says everyone was satisfied. “I just want to show people I had a great Thanksgiving with my family it was a wonderful time everyone enjoyed it -- vegans and non-vegans alike,” he says. “And not a single animal product was used in the making of that meal." 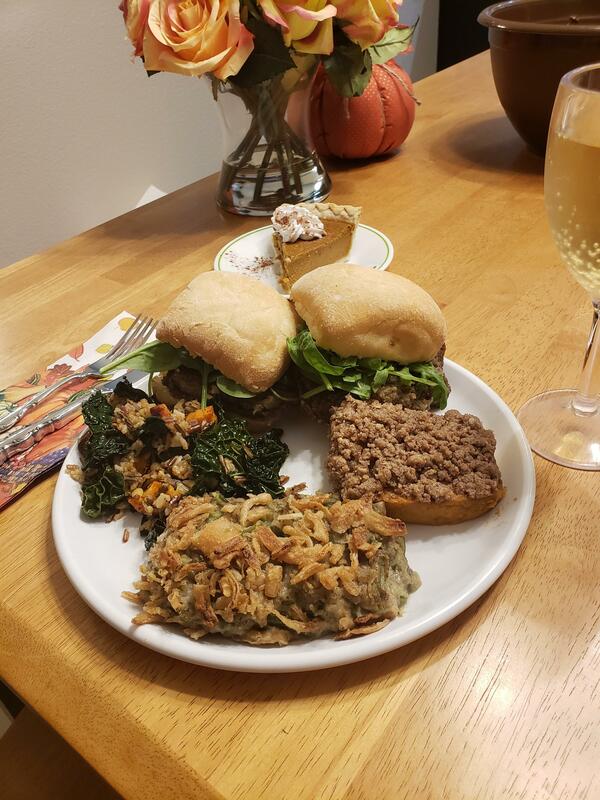 A plate from Fresno residents Scott Strong's vegan thanksgiving. Strong says history and culture drive the notion that turkey must be served on Thanksgiving. But even though vegans don’t eat turkey, some of them still seek out a more humane turkey option for the poultry eaters they know. Here’s Mary Pitman, the co-founder of Pitman Family Farms in Sanger. Pitman says her organic and non-GMO birds have plenty of room to roam. She says even people on the east coast contact her to ask where they can find them. She says they don’t inject their turkeys or chickens with anything. Back at Raw Fresno, Karina Cisneros tries the restaurant’s food for the first time. She’s having the Caribbean tacos. Cisneros isn’t vegan, but she says she’s getting there. Her goal is to eat a plant-based diet. Still, this Thanksgiving she says she’ll probably eat tamales and posole -- but she is bringing a vegan dish to share. It’s easy to find vegan recipes both online and in cookbooks. Fresno native Farin Montanez’s cookbook, "Spirited Vegans Thanksgiving Cookbook," is filled with recipes just for Thanksgiving.